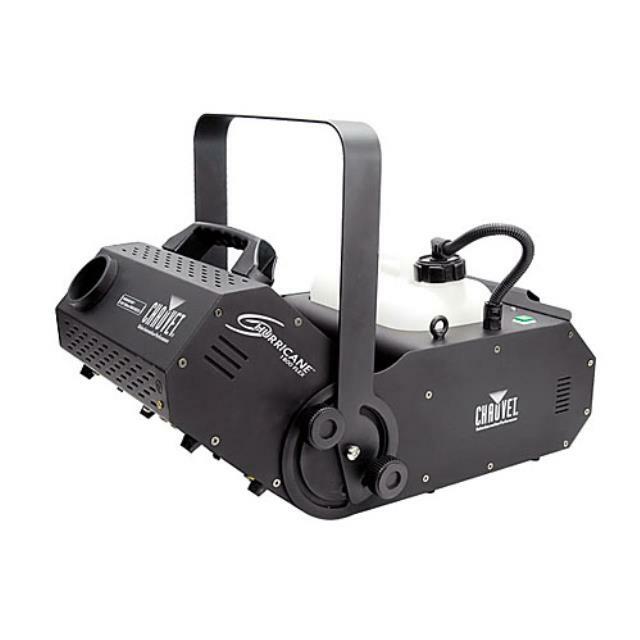 Fogger rental includes full tank of special fog solution; additional purchase of solution recommended if actual running time is more than 30 minutes total. Can adjust output 180 degrees up/down. 10 minutes warm up time. Includes a 15' wired remote control. DMX-512 3 or 5 pin compatible. 110 volt, 1364 watts, 23"x13.5"x14.7", 26.5 lbs. Fluid tank glows RED during warm up, switches to BLUE when ready to fog. Complete warm up time in-between fogging cycles is 30 seconds. Performs best with T.E.Brand Fog Fluid. * Please call us for any questions on our fogger hi vol.w remote w/ solution rentals in Ft. Wayne IN, Warsaw, Syracuse, Auburn, South Bend, Indianapolis IN.